What Would Be Fair Price For Double Glazed Windows? You are here: Home / Features & Articles / Fair Price for double glazed windows? 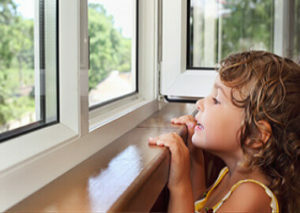 It is possible to find a double glazing price guide on the web if you search for offers on double glazing prices – and many of these windows help to insulate the house, which can also help to reduce heat loss to the surroundings. It is always important that you understand how to choose the best products on the market, without having to spend a lot of money. Another way that you can use would be to use a comparison website. This will help you to make the decision even better. All modern upvc replacement windows are given UK energy ratings, so that you can see “at a glance” how good the insulating properties are. “A” rated windows are the most efficient (“G” is the lowest rating). This rating label is called the WER. There is also a decent range of colours from brilliant white to wood effect, even the surface can be made to have the “feel” of wood grain and all the windows will have sealed double glazed units. The window openers themselves fit tightly into the frames and eliminate draughts and Low-E glass can be used to further improve the heat loss savings and “all round” multi-point locks provide great levels of security.